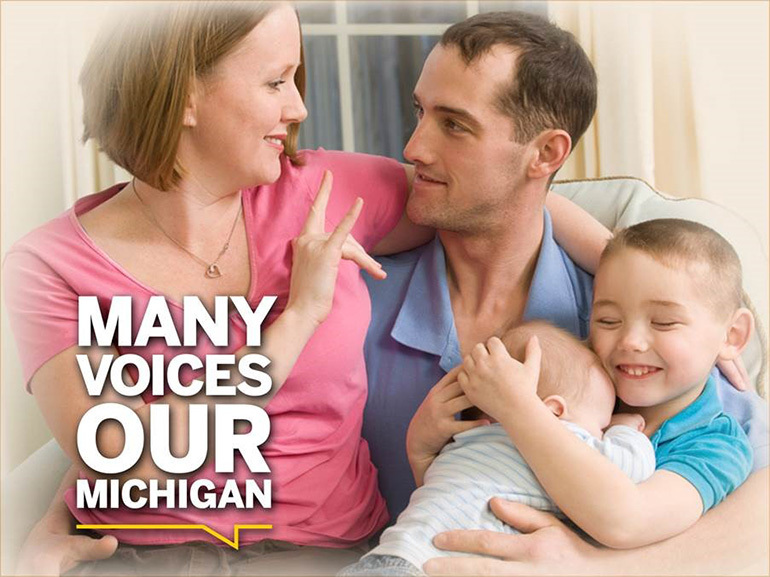 While Michigan Medicine is the proud home of many innovative clinical operations, many individuals are unaware of its Deaf Health Clinic, one of the few clinics in the U.S. that offers primary care services from two physicians fluent in American Sign Language (ASL), as well as an ASL-fluent mental health clinician within a single location. The Deaf Health Clinic is located at the Dexter Health Center and is led by Michael M. McKee, M.D., M.P.H., and Philip Zazove, M.D., who have both been with organization for many years. However, within the past three years, the pair — alongside their team members, Leslie Pertz, LMSW, N.I.C., Kathleen Diehl, LMSW, ACSW and Dylan Secord, M.S.W., LLMSW — has made great efforts to increase the number of staff who use ASL at the academic medical center. “The Deaf Health Clinic was created for the Deaf community so patients could have a barrier-free health care experience, from check-in to check-out,” said Pertz. The Deaf Health Clinic is a family medicine clinic that is also integrated with behavioral health. Therefore, a broad range of primary care and mental health services are available to patients in a single location. Through the work of Pertz and her team, the clinic piloted tele-mental health services over the last several years. And through this innovative process — which allows experts to virtually meet with patients via videoconferencing — mental health services were made more accessible to Deaf individuals in rural areas of Michigan (using ASL). Because of the groundbreaking work being conducted through the Deaf Health Clinic, it was recently featured in The Journal of Deaf Studies and Deaf Education. The research conducted by the journal’s authors revealed incredible progress regarding the mental health status of various patients within the clinic. Before joining Michigan Medicine, Pertz worked as a full-time ASL/English interpreter, predominantly working in the medical and mental health settings outside of U-M.
To learn more about the Deaf Health Clinic and its services, click here!